Product code: 00001 Categories: The Beach, Rings. 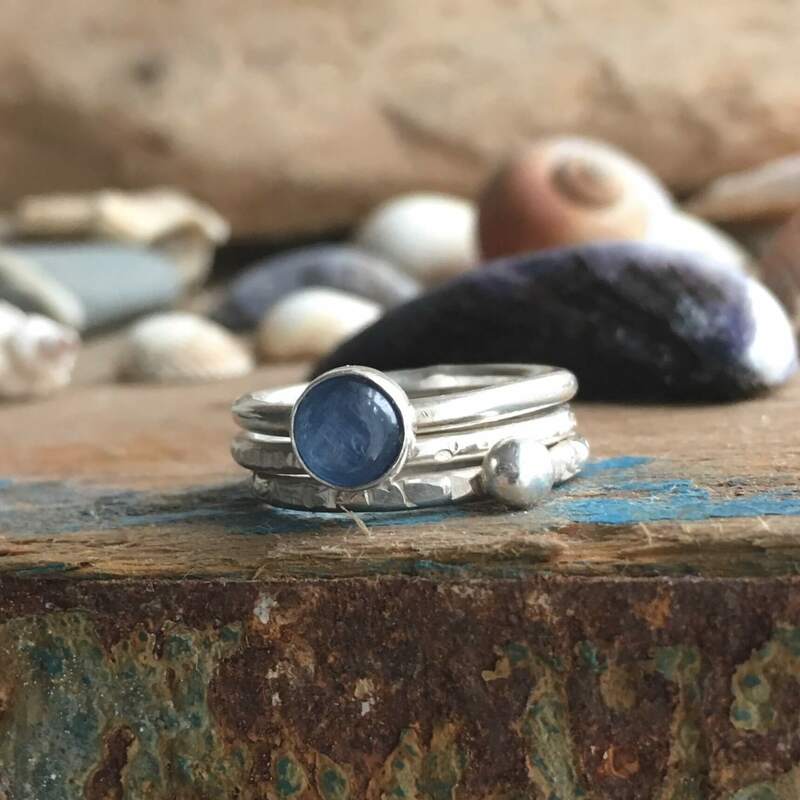 The stacking set is made up of three rings which are hand made from 1.8 mm recycled silver. 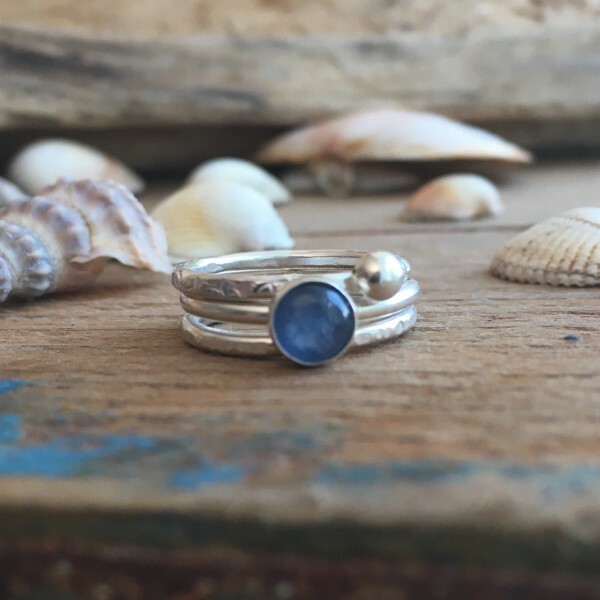 One of the rings features a beautiful 6 mm kyanite cabochon, I love the colour of this stone and it always reminds me of the blue of mussel shells washed up on the beach. A second ring is stone hammered to represent the array of stones and pebbles, it also features a recycled silver pebble. The third has a ‘driftwood’ finish. Your rings will be sent in your choice of either a recycled box or a cotton drawstring bag. All rings are individually hand made to order so please allow up to 3 weeks for delivery.